Do you have a calendar item of interest to the community at large? Send it to us here. 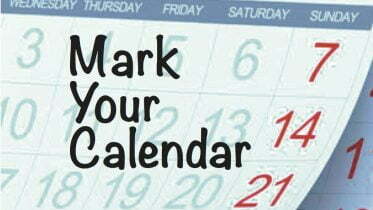 Our community calendar listing is free every week. Planning meeting for Bernalillo County seeks input on Old Route 66, OCTOBER 25 from 6 to 7:30 p.m. at the Edgewood Masonic Lodge. For info contact 505-314-0341 or sshumsky@bernco.gov. Edgewood Family History Center class, “Adding Photos and Documents to Family Tree,” at 10:30 a.m. on OCTOBER 25 at the LDS Church in Edgewood. For info email edgewoodfhc@gmail.com. Ribbon cutting and open house for Comfort Inn and Suites, Edgewood, from 5-7 p.m. OCTOBER 26. Refreshments, tours of the hotel, ribbon cutting at 5:30 p.m.
Ghouls and goblins are invited to South Mountain Elementary School for indoor trick-or-treating OCTOBER 27 from 6:30 to 7:30 p.m. Big B’s Grub Shack will have food to purchase. Local businesses are invited to set up a booth and candy donations are welcome. Admission is one canned food item and an adult chaperone. For info contact smepot.mesd@gmail.com. On OCTOBER 28, a Fall Festival will be held at Mountain Valley Church in Edgewood from 4 to 6 p.m., offering free family fun including games, food and candy. For more information, call 505-281-5566. East Mountain Area Community Emergency Response Team (CERT) training class, OCTOBER 28 from 8 a.m. to 5 p.m. at the Moriarty Civic Center. For info contact Vicki at 505-205-6315 or eastmtncert@gmail.com. “Big Kids” Halloween party and costume contest at Old Tyme Shop in Tijeras, OCTOBER 28 starting at 6 p.m. Potluck, bring your favorite food to share. For info call 505-281-3892. Also on OCTOBER 28, look for a Boo-tacular Halloween party and carnival at The Barn Boutique in Moriarty, which will host a costume contest, pumpkin carving contest, jumper, food and face painting. For more information, call 505-433-2598. On OCTOBER 29, a Trick or Trunk will be held at Crossroads Bible and Fellowship in Edgewood, from 5 to 6:30 p.m. For more information, call 505-832-0909. Halloween Hike, OCTOBER 30 at the Sandia Mountain Natural History Center, starting at 6 p.m. A guided night hike, so headlamps or flashlights are required. Donations are appreciated. No pets allowed. For info contact Vanessa at 505-281-5259. On OCTOBER 31, a Fall Festival will be held at First Baptist Church in Moriarty, offering family fun in the form of games, candy and food. Free. For more information, call 505-832-6385. Halloween Festival with free games, prizes, candy, a bouncy house, snacks and movies, at Tremko Karate in Moriarty OCTOBER 31 from 4 to 8 p.m. For info call 505-228-1885. Annual Halloween Fun Night at Old Tyme Shop in Tijeras, OCTOBER 31 from 5:30 – 8:30 p.m. Decorate your car and hand out candy. Cake walk, treats, games, Scary-oke, hot dogs, prizes. Family fun. Free. For info call 505-281-3892. On OCTOBER 31, the 24th annual Trick or Treat Trailer to Trailer will be held at RV Sales in Moriarty from 5:30 to 7:30 p.m. Admission is $1 or a single can of food; the event benefits Bethel Community Storehouse every year. For more information, call 505-832-2400. Also on OCTOBER 31, Trunk or Treat in the Smith’s in Edgewood’s parking lot NE side from 6 to 9 p.m. Free. Safe trick or treating, and hot drinks. Hosted by McDonald’s, Chili Hills, Aaron’s and Legacy Church. Contact Debbie for more information, at 505-286-9202. On OCTOBER 31, a Trunk or Treat event will be held at the Edgewood Library from 5 to 8 p.m. Free. Carnival games and haunted house with small admission. Events include a pumpkin carving contest, costume contest, and decorated trunks (vehicles) contest. Hot drinks and safe trick or treating. Edgewood Police Department is accepting candy donations. For more information contact Tracy at 505-281-5117, ext 3. Flamenco de Abó dance performance, NOVEMBER 5 at Mountain Arts on Broadway in Mountainair at 2 p.m. Sponsored by Manzano Mountain Art Council. Free. For info see manzanomoutainartcouncil.org. New Mexico Veterans Art invites resident military veterans, active duty, reservists, and spouses to enter the 20th annual art exhibit. Artwork is due at Expo NM Fine Arts Building on NOVEMBER 5, 10 a.m. to 3 p.m. Entry forms at nmveteransart.com or by calling 505-410-3593. Planning and zoning hearing NOVEMBER 6 at village of Tijeras chambers at 6 p.m. For info call 505-281-1220. Medicare Open Enrollment assistance from NM Aging and Long-Term Services, providing free, unbiased advice, NOVEMBER 7 from 8:30 to 11 a.m. at Bethel Storehouse in Moriarty. No appointment needed, call 505-383-3919 for info. Cibola Arts Gallery in Mountainair’s Christmas Market, NOVEMBER 11 with opening reception from 1 to 3 p.m. at the gallery. For info visit cibolaartsgallery.com. Cheese-making classes at Old Windmill Dairy in Estancia, NOVEMBER 11. For info visit theoldwindmilldairy.com. Medicare Open Enrollment assistance from NM Aging and Long-Term Services, providing free, unbiased advice, NOVEMBER 13 from 9 a.m. to 1 p.m. at Tijeras Senior Center. No appointment needed, call 505-383-3919 for info. Village of Tijeras council meeting 6 p.m. on NOVEMBER 13 in the village chambers. For info call 505-281-1220.